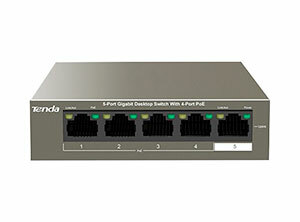 Tenda enables synchronous delivery of data and power via a single Ethernet cable. 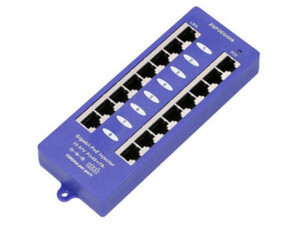 8 Port Passive Gigabit PoE injector. Ideal for powering AP's, IP cameras or VoIP phones. 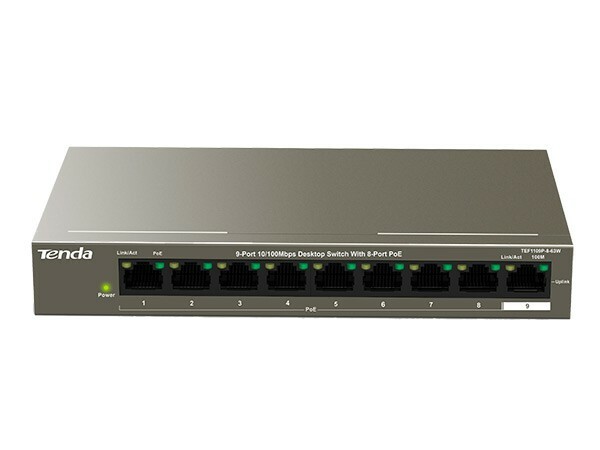 Tenda is a 5-port 1000 Mbps unmanaged switch that requires no configuration and provides 4 PoE ports. 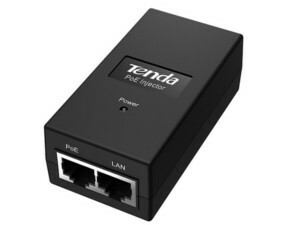 Tenda's TEF1109P enables you to connect 8 devices and provide them with power at 100 Mbps.